Singapore - The onslaught of one new variation after another can leave enthusiasts exhausted and jaded, but there are certain constants that are still anticipated. 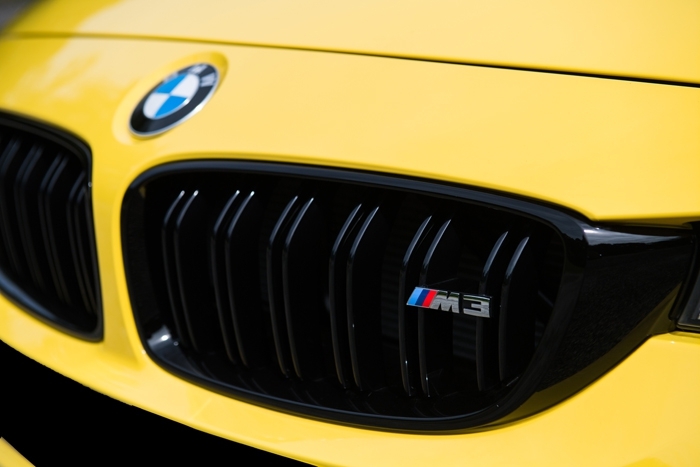 Take the ‘Competition Package’ for example, which is one such variation to the M3/M4 theme (with BMW’s new model names, ‘3’ refers to the sedan and ‘4’ the coupe). 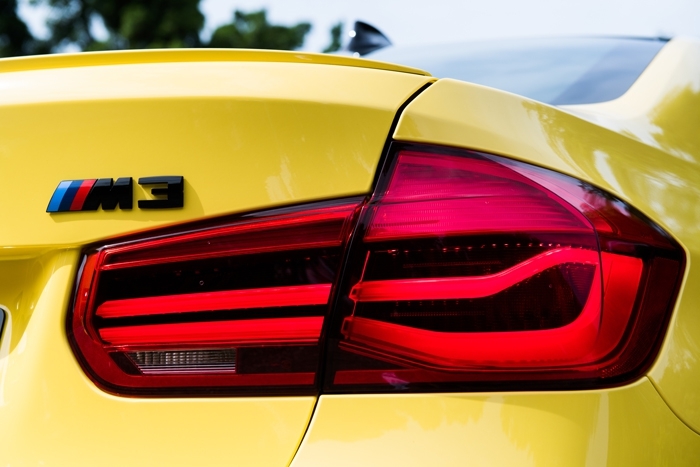 The technical improvements are not solely to benefit outright pace either, because the Comp Pack also typically sorts out any chassis niggles with tweaks to the Adaptive M Suspension and the trick Active M Differential for even more visceral driving thrills. After all, it’s not enough to have a fast car these days – because everybody builds one – it’s how it drives that makes all the difference, and this is a trait that Porsche seems properly able to appreciate, especially if the beautifully balanced 911R is any indication... but we digress! 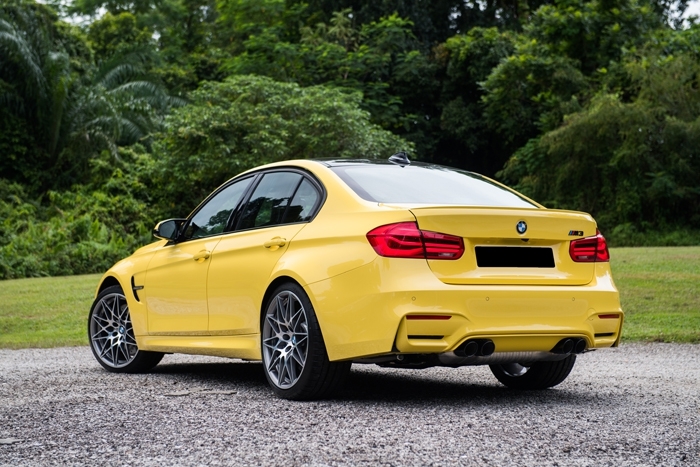 In Singapore, BMW has gone one-up for the current F80 M3 Comp Pack by resurrecting three iconic colours from the earlier generation E36 M3, which incidentally was the first time the M3 was available as a sedan and in an inline6 engine flavour. The three colours, which comprise Daytona Violet, British Racing Green and this Dakar Yellow, form the ‘Heritage Collection Singapore Edition I’, a ten-unit limited edition that was created for the Singapore market. 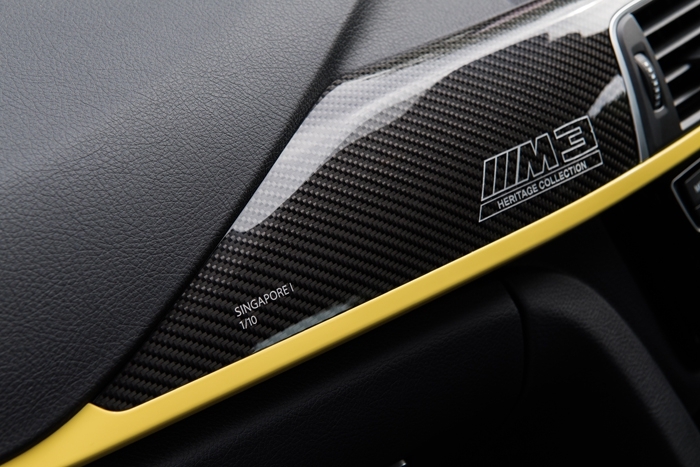 Most of the colour-coding for the Heritage Collection can be appreciated in the cabin: there’s a yellow-coded trim finisher strip that runs across the length of the cabin from door to door, with a laser-etched testament on the dash console to its limited edition status. Within the cabin, other aesthetic elements that come with the Comp Pack include the lightweight M front sports seats with their strategic cut-throughs and seatbelts with woven-in ‘M’ stripes. 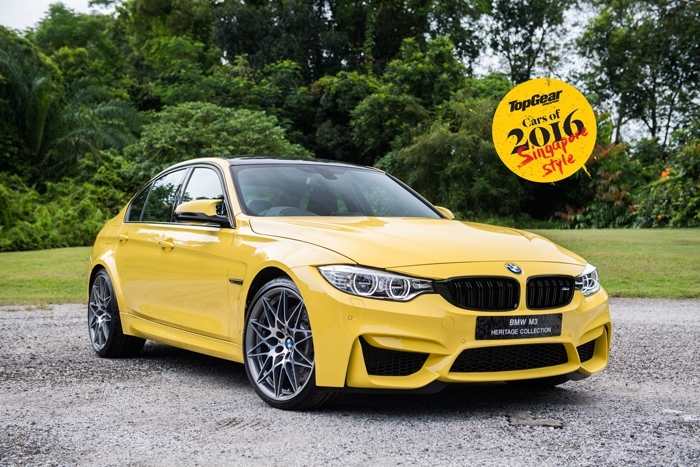 Some might argue that the M3 wasn’t in need of any tweaking, since presumably angry and angrier are the preferred driving modes for the car, but the Comp Pack and special Singapore Edition cars are the reasons we’ve included it in this year’s Cars of the Year. Previously, piloting something that is constantly on edge may seem like a novelty that you can impress your buddies with, but it can get tiring fast, so the Comp Pack not only helps by improving on-limit dynamics and allowing one to better exploit the engine’s performance, it also improves low-speed ride quality for those moments when you aren’t in the mood for its blend of tough love. One of the more obvious aesthetics that comes with the Comp Pack is the popular Shadow Line option, which replace all the bling chrome parts on the front grille, window trim and elsewhere with high-gloss black bits for even more stealthy performance. 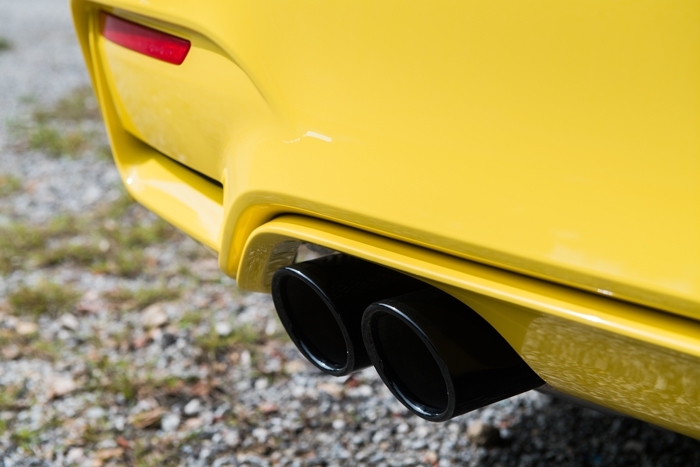 This is matched to the black chrome tailpipes of the Comp Pack’s M sports exhaust system, which really lets the car get as shouty as its performance allows and it isn’t all empty vessel making a lot of noise either. 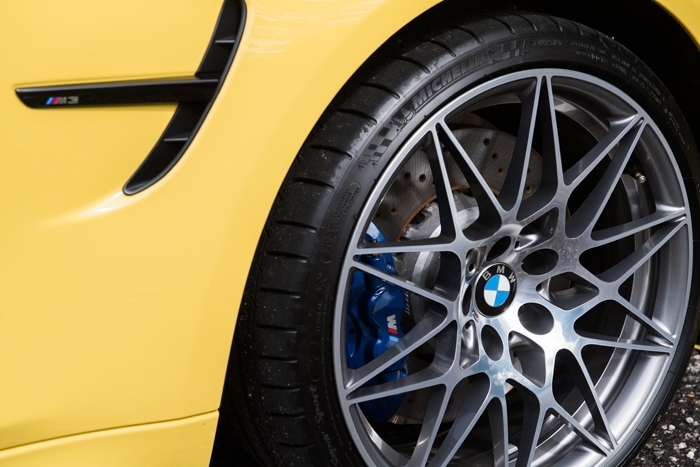 A new alloy rim design from the M4 GTS also makes its appearance on the Comp Pack – the forged 20-inch footwear is both strong and light, which aids in reducing unsprung weight for more spritely performance.We spent a few days with a non-Competition Package M3 in the UK recently and it certainly rekindled our passion for the winding road. It may feel grumpy puttering around town and over potholes, but the moment you’re clear of the city limits and the open roads beckon, the M3 really comes into its own. 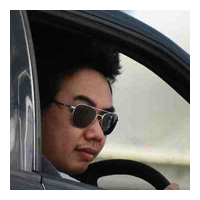 You’re catching snatched breaths between the bursts of furious explosions as you put your foot down on the straights. However, the slightly frosty conditions meant that we had to use the throttle judiciously, since the M3 is more than willing to drift its tail if it senses the driver’s attention drifting. 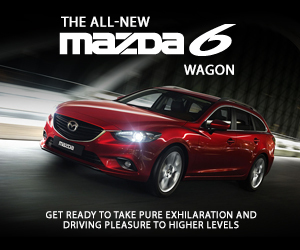 So how could the Comp Pack improve what’s already a decent compact sports sedan? 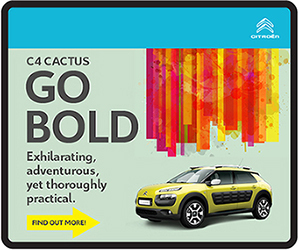 For starters, it refines the whole ride and handling experience. Sure, there’s a modest 19bhp hike to horsepower, but it’s one of those cars where the complete package is far greater than the sum of the individual parts. 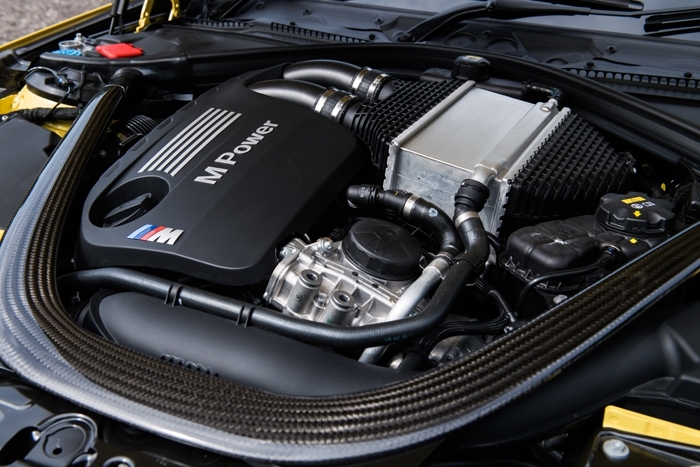 The Comp Pack effect has traditionally been like a ‘patch’ for the standard M3, and it’s no different with this generation. With the Comp Pack, we didn’t wince over the potholes and ruts in the roads around town thanks to a full rework of the damping programmes. Springs, dampers and anti-roll bars are all-new, with updates to the electronic stability systems to let the driver really exploit the new setup. Performance from the twin-turbo’d inline6 is as explosive as we recall, but there’s a dash of civility when you put your foot down. Although certain quarters will regard the non-Comp Pack car’s waywardness as being raw and lament its selling-out, the Comp Pack’s new algorithms and rear tyres now cope better with the engine’s larger-than-life performance and dig properly into the tarmac for devastatingly quick performance, but it’s still prepared to hang as loose as you want it to, so that should keep the nay-sayers happy.